The Liquid Art House (L.A.H.) is a beautiful dining experience. Reviewers across the board have raved that it is unlike any other restaurant they have seen, and that it feels like they are dining in the center of a museum or art gallery. Funky pieces of art adorn the walls, and every style choice down to the chairs serves an artistic purpose. Even the bathrooms are aesthetically pleasing, and could be featured in their own modern art exhibit. Pair this incredible ambiance with L.A.H.’s delicious menu, and it is hard to find fault with anything here. This romantic, candle-lit Italian restaurant is the perfect precursor for a date at the theater, or for a stroll through the charming streets of Bay Village. 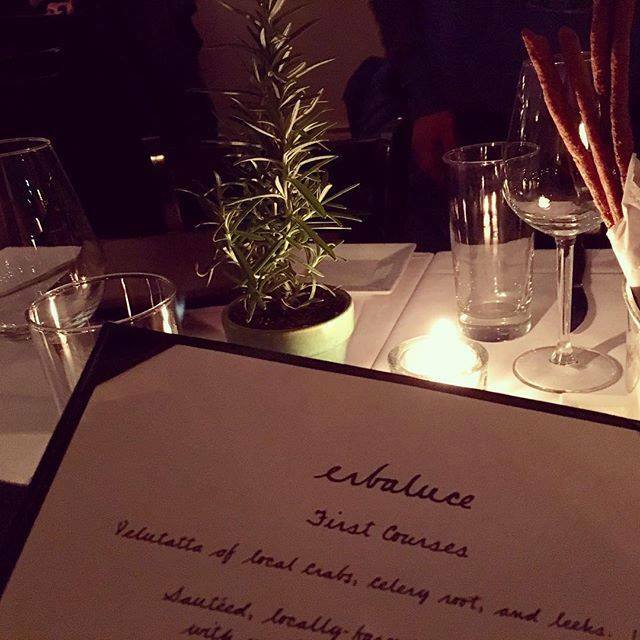 Its creative menu comprises only the freshest, local fish and organic meats, making Erbaluce a dining hotspot in the city. 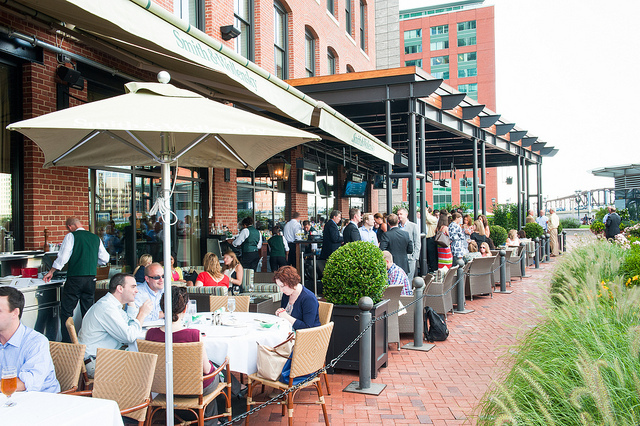 It has been the recipient of dozens of awards and press-mentions, including the 2015 Improper Bostonian award for the Best Italian Restaurant – the fifth Erbaluce has received. In addition, Erbaluce offers a carefully picked wine list that displays Italian varieties from the best regional wineries in Italy. Rustic Kitchen Bistro & Bar has a seasonal, New England menu that’s handcrafted with international inspiration. The Rustic Kitchen’s menu features only the freshest, local ingredients, guaranteeing that everything is made fresh each day, down to the potato chips and pastas. 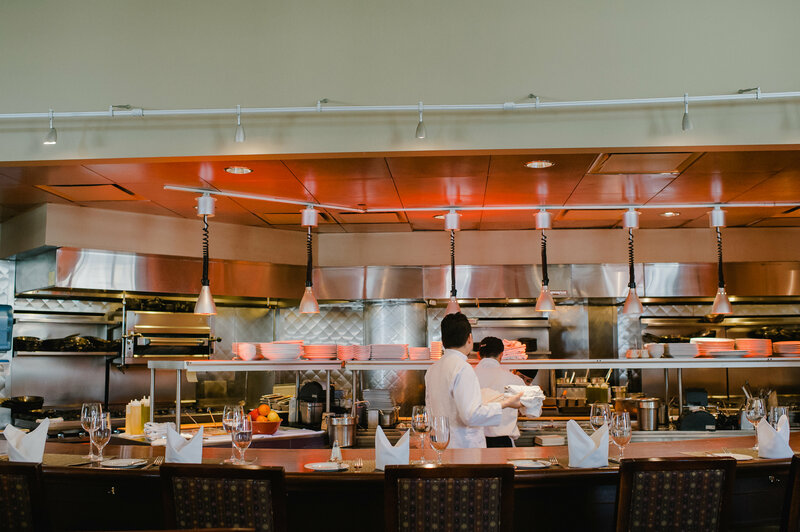 Winner of the Wine Spectator’s Award of Excellence, the Rustic Kitchen has become one of the trendiest restaurants in Bay Village as well as Greater Boston. Each dish is served as an artfully plated masterpiece, and the ambiance of the Rustic Kitchen is chic yet inviting. Founded in 1999, Viga Italian Eatery & Caterer is dedicated to serving fresh, affordable foods. With daily soup, pizza, calzone and pasta specials, Viga’s is the perfect place to grab a quick lunch during the workday. And, due to its excellent reputation, Viga is often used as a catering service for businesses and social events in the surrounding Boston neighborhoods. All-in-all, Viga’s is a fast-paced environment that serves dependable, quality food. Known as one of the most stylish and upscale Italian dining options in Boston, Da Vinci Ristorante has been in business since 2007. After undergoing a recent renovation, Da Vinci’s has now incorporated its large, full service bar and open kitchen as its focal point. Run by a classically trained chef, Da Vinci’s cuisine consists of beautifully presented modern and classic Italian dishes that rotate on a seasonal menu. With an interior decor that exudes sophistication and class, Da Vinci’s is a popular option for those seeking a swanky night out. Mike and Patty’s is a cozy hole-in-the-wall, gourmet breakfast stop on the corner of Church and Fayette. It is a fond, neighborhood favorite, and is known as being one of the best spots to grab a quick breakfast or sandwich. 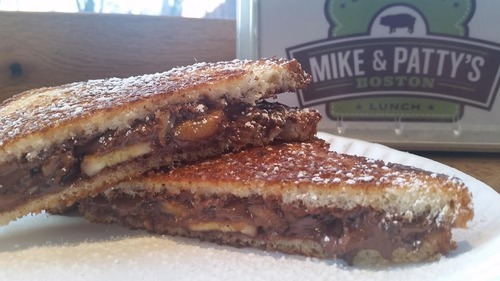 Mike and Patty’s offers traditional breakfast classics such as fried eggs and breakfast sandwiches, along with more inventive options. An example is ‘The Gualtieri,’ which is a fried egg served with mortadella and smoked mozzarella on an English muffin. Davio’s Northern Italian Steakhouse prides itself on its keen attention to detail and its exemplary attentiveness to customer service. Upon entering Davio’s, guests will be wowed with a personal greeting and coat check at the front door. Davio’s satisfying lunch and dinner menus feature hand-crafted pasta dishes and Italian meats. Their impressive menu along with their ambiance and decor make Davio’s a luxurious retreat from the humming city beyond its walls. Located just steps outside of the Bay Village neighborhood, O’Connor’s Irish Pub on Columbus Ave is a lively Irish pub that offers an extensive lunch and dinner menu, a late night menu of appetizers and burgers and a bar menu. In addition to these separate menus, O’Connor’s serves a wide variety of beers, cocktails and wines. These endless dining options coupled with the dimly lit interior and decor create just the ambiance needed for a traditional Irish pub experience. Masa offers the neighborhood a blend of south-western styled cooking with freshly sourced New England foods. With festive decorations and muted lighting, Masa provides an intimate ambiance for a romantic night out, or a dinner with a small group of friends. Boston Magazine has declared Masa’s margaritas to be some of the finest in town, and its brunch has been named the best in Boston by the Boston Globe.